Fueling the right-wing conspiracy theorist's view that the world is out to get him, Twitter has followed the lead of other social media companies and banned Alex Jones from its platform. With his output dubbed "hate content", Jones found himself removed from Spotify, Facebook and iTunes, but Twitter's Jack Dorsey previously refused to follow suit saying that the Infowars frontman "hasn't violated our rules", insisting that his company enforces its rules "impartially, regardless of political viewpoints". But after Jones posted videos earlier this week that violated Twitter's policy on abusive content, he has been permanently banned. The ban means that Jones can no longer use either Twitter or Periscope, but it extends even further than that. Infowars is also banned from both platforms, and Twitter says that it will monitor for signs that either the individual or the organization is using other accounts to try to get around the ban. 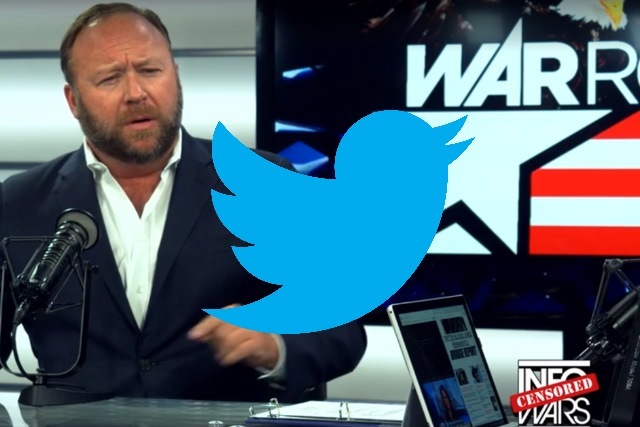 Over on Infowars, Jones has continued to suggest that he is being censored by "big tech", and his legions of supporters seem to agree judging by the responses to Twitter's tweets.